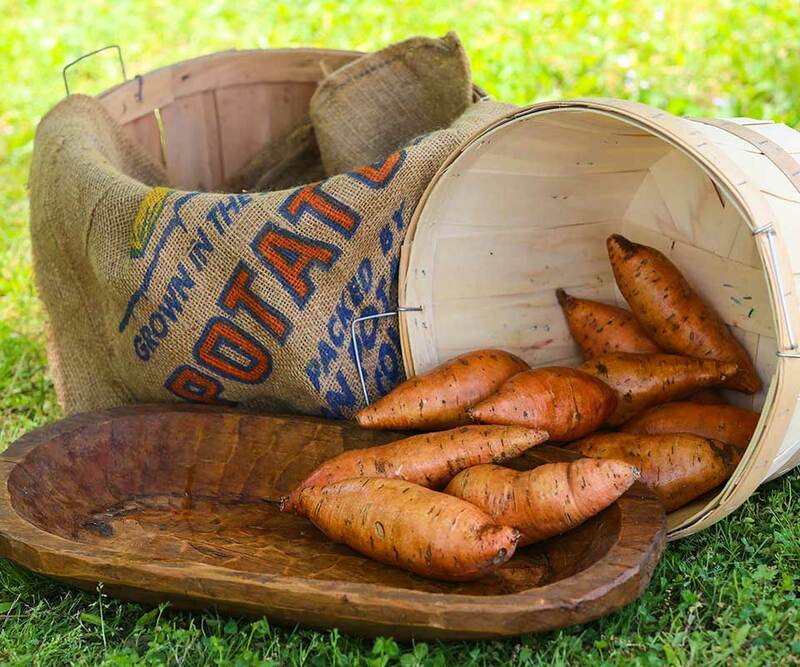 Vardaman is our second bush variety sweet potato. Golden yellow outside skin that darkens after digging. 100 day maturity. 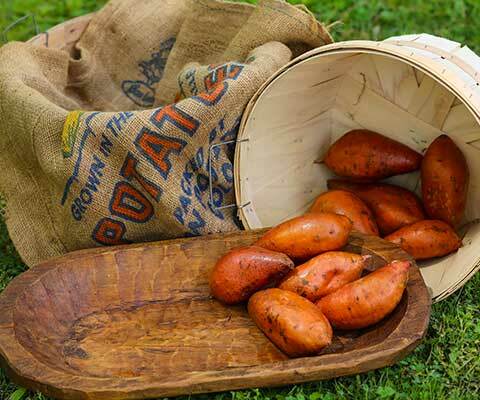 Vardaman is our second bush variety sweet potato. Golden yellow outside skin that darkens after digging. Deepest, brightest inside color of all. 100 day maturity. 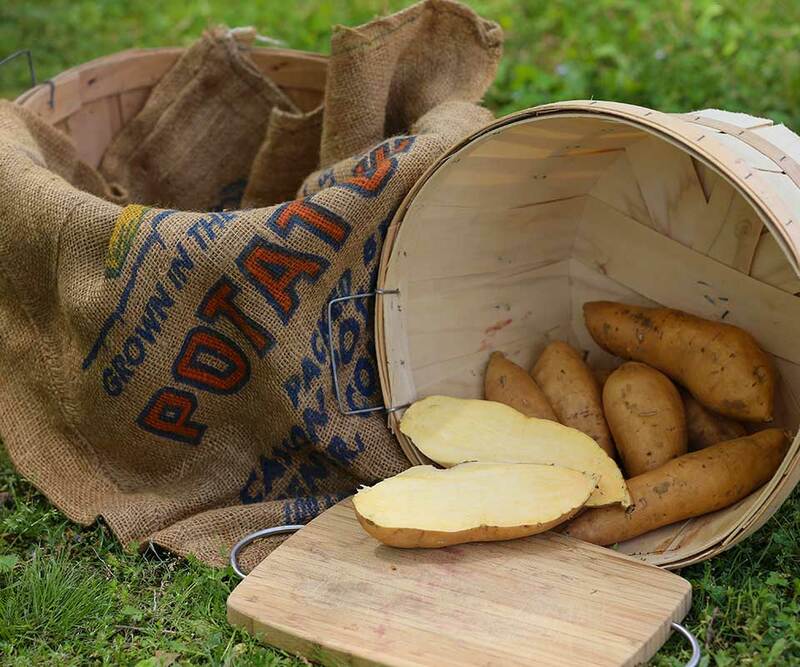 The Covington has an excellent yield of uniformly shaped potatoes with a rose colored skin. The flesh is sweet and slighter darker than a Beauregard. Maturity is 100 days. 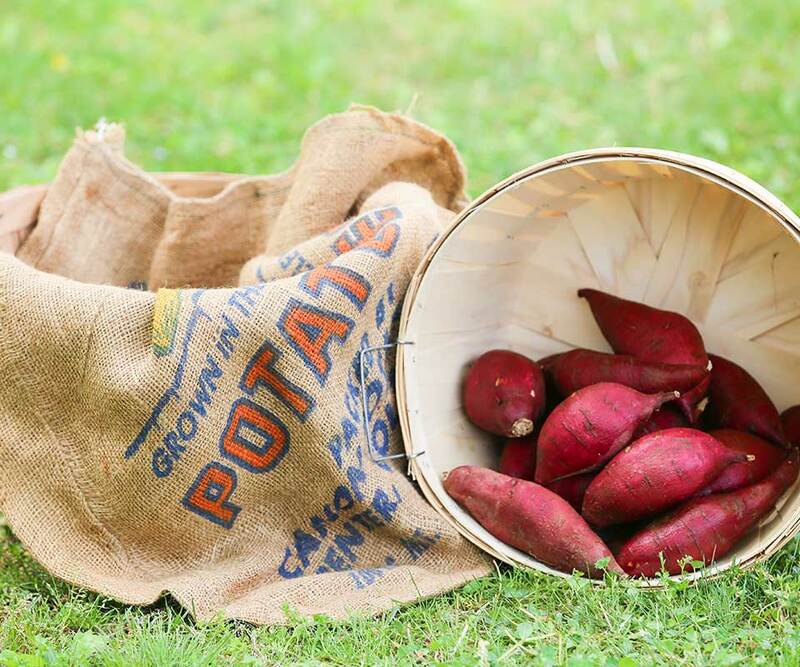 The Murasaki has a purple skin and white inside flesh – a Japanese sweet potato. Also called “Bush” and “Vine less,” The favorite plant of gardners with limited space. 110 day maturity. 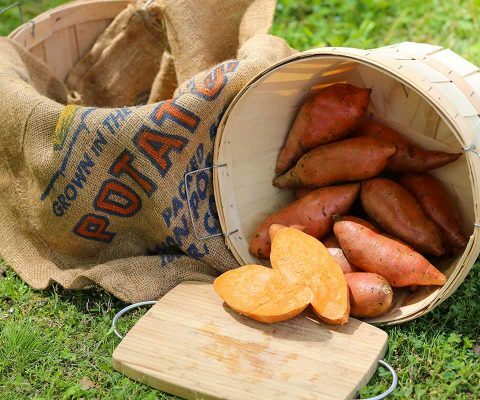 O’ Henry is a white-skinned, cream-fleshed sweet potato that cooks up drier than other sweet potato varieties. 90-100 day maturity.